I’m taking some down time away from blogging larger posts. I’ve blogged about the importance of taking a day of rest, spending family time or maybe just taking time off for yourself. The next few post will be short and sweet. A photo from my life and a quick snip-it about it. Maybe even a wordless photo that tells the story. 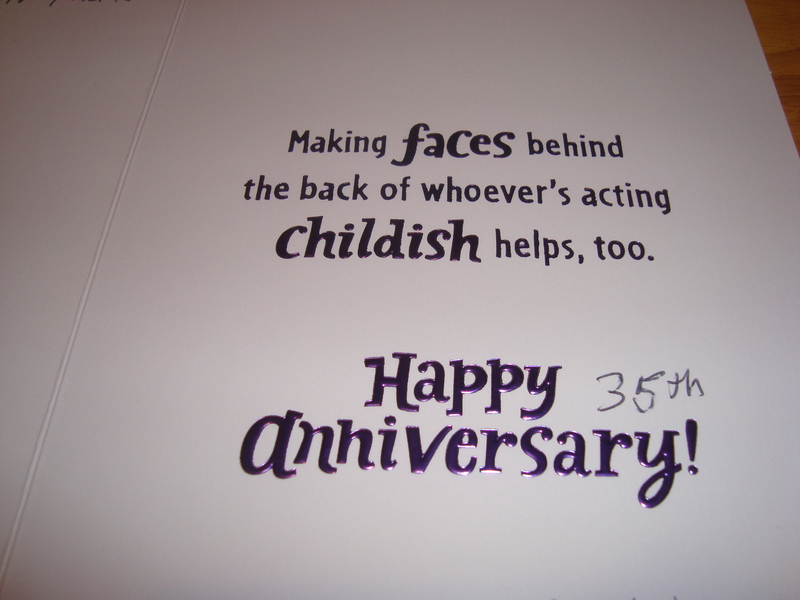 Today it is a photo we received on our 35th Wedding Anniversary from someone who understands the importance of laughter in a marriage. 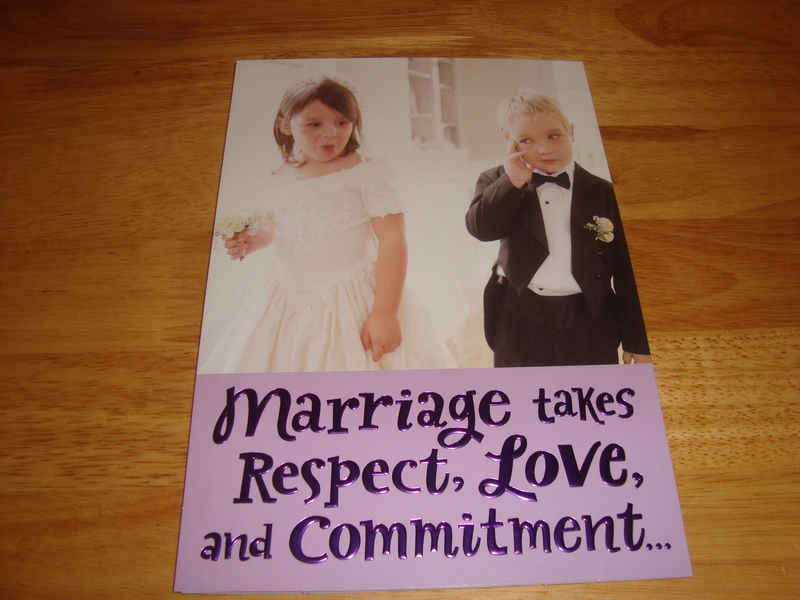 We received several humor related cards from our loved ones. This is an example for you to appreciate and joy.